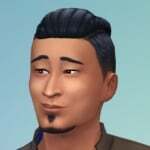 Music for specific sims while playing/in CAS? Just curious of anyone has soundtracks for their sims and what they are? I tend to have one track on repeat when Im working on something (which drives my wife insane) so some songs just stick. Dina has always had a country girl feel to me. What do you all work with?